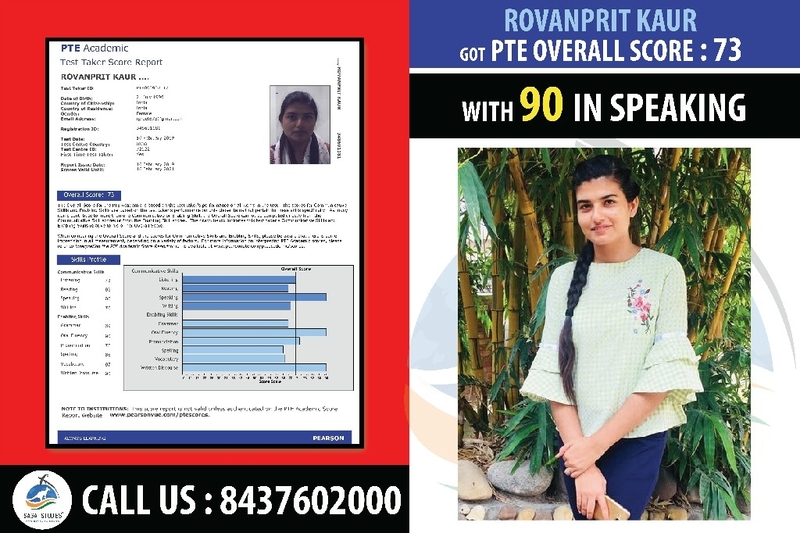 we would like to Congratulate to our PTE Student Rovanprit_Kaur. She got overall 73 Score in PTE with 90 in Speaking. We wish her all the very best for her future. 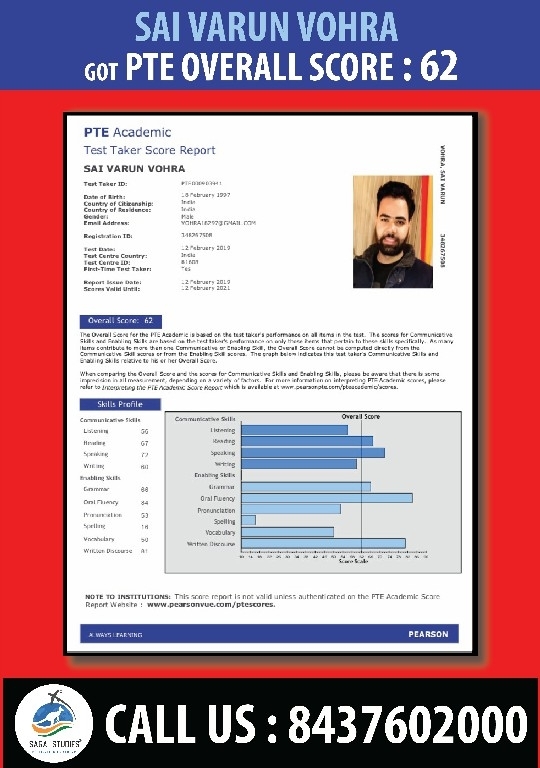 we would like to Congratulate to our PTE Student Sai_Varun_Vohra. He got overall 62 Score in PTE with 72 in Speaking & 67 in Reading. We wish him all the very best for his future. 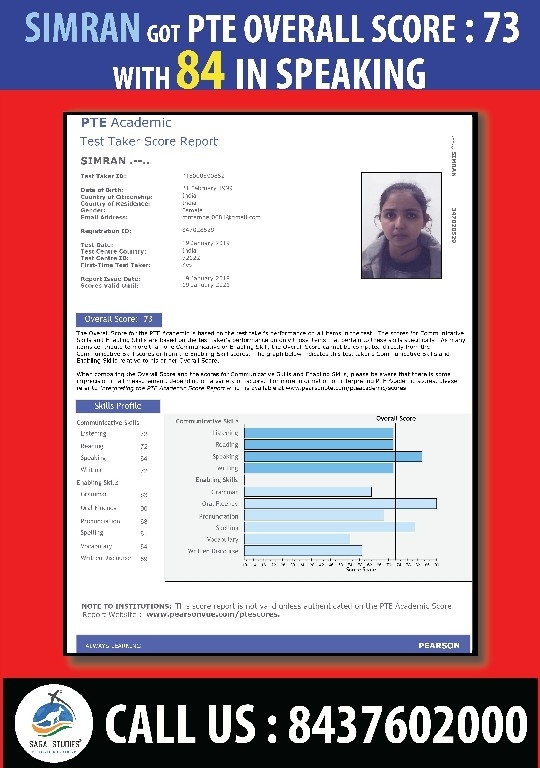 Today we would like to Congratulate to our PTE Student Simran. She got overall 73 Score in PTE with 84 in Speaking. 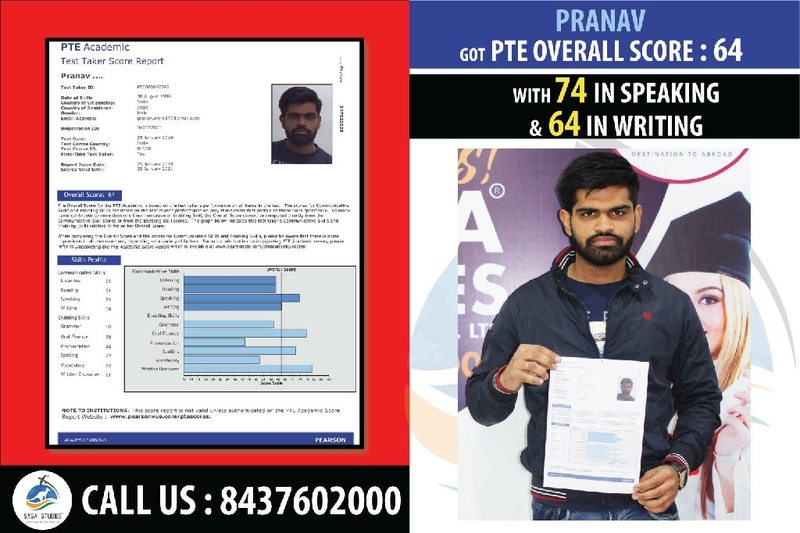 we would like to Congratulate to our PTE Student Pranav. He got overall 64 Score in PTE with 74 in Speaking & 64 in Writing. Today we would like to #Congratulate to our #PTE Student #Komalpreet_Singh. He got overall 73 Score in #PTE with 90 in Speaking. Today we would like to #Congratulate to our #PTE Student #Rupali. 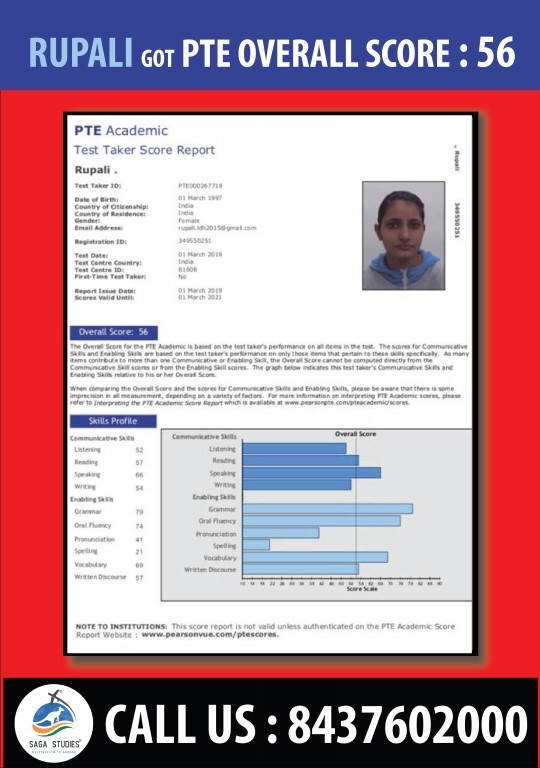 She got overall 56 Score in #PTE. We wish his all the very best for his future. 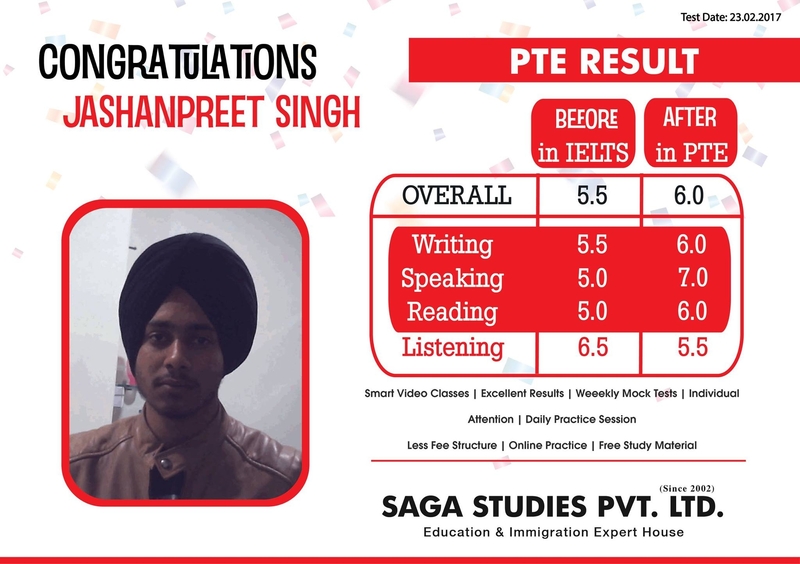 Congratulations Arshdeep Singh for incredible improvement in PTE Writing from 5.5 to 6.0 bands. 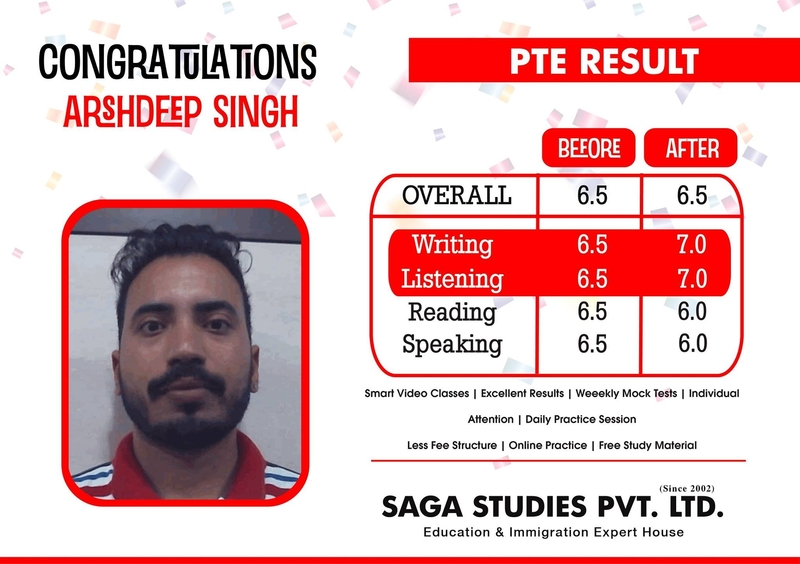 He had improved from the very first week of #PTE coaching from Saga. 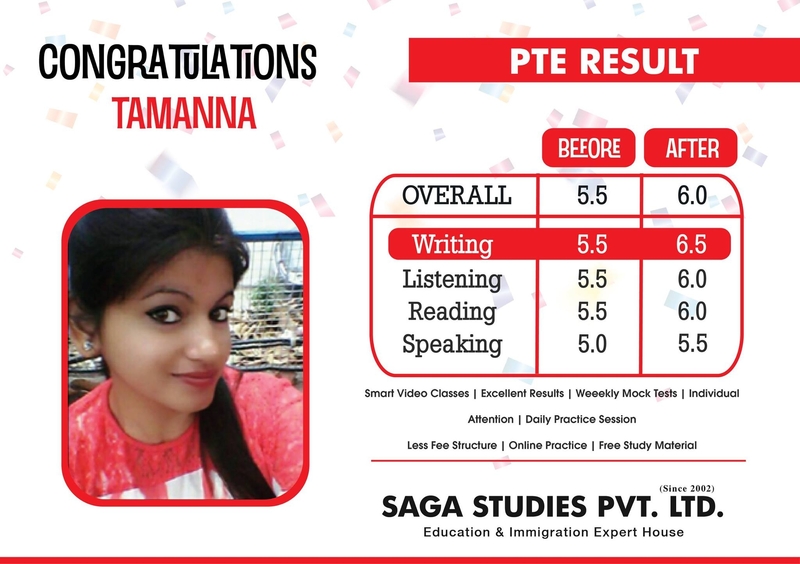 Congratulations Tamanna Sharma for incredible improvement in PTE Writing from 5.5 to 6.5 bands. 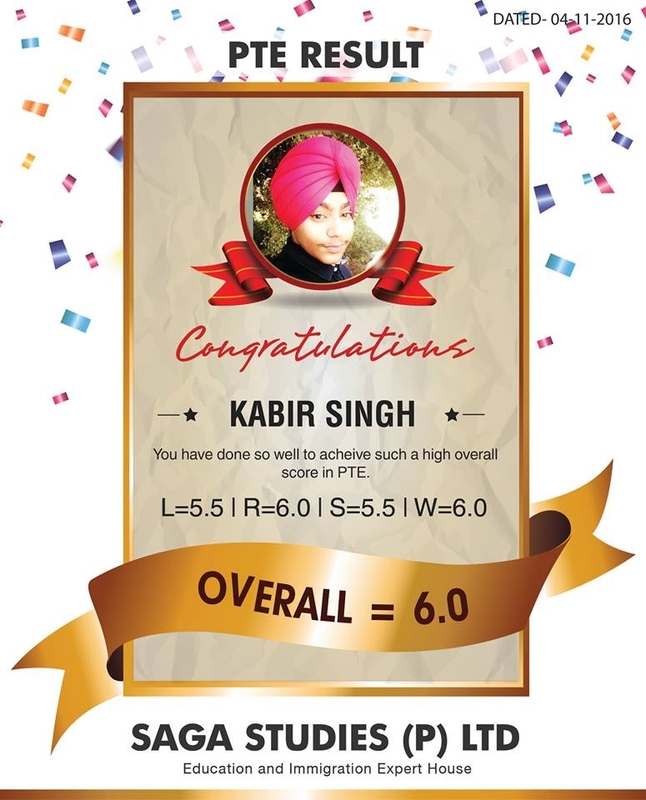 Today we would like to #Congratulate to our PTE Academic Kabir Singh. He got overall 6.0 Bands in #PTE. He attended classes for just 15 Days. 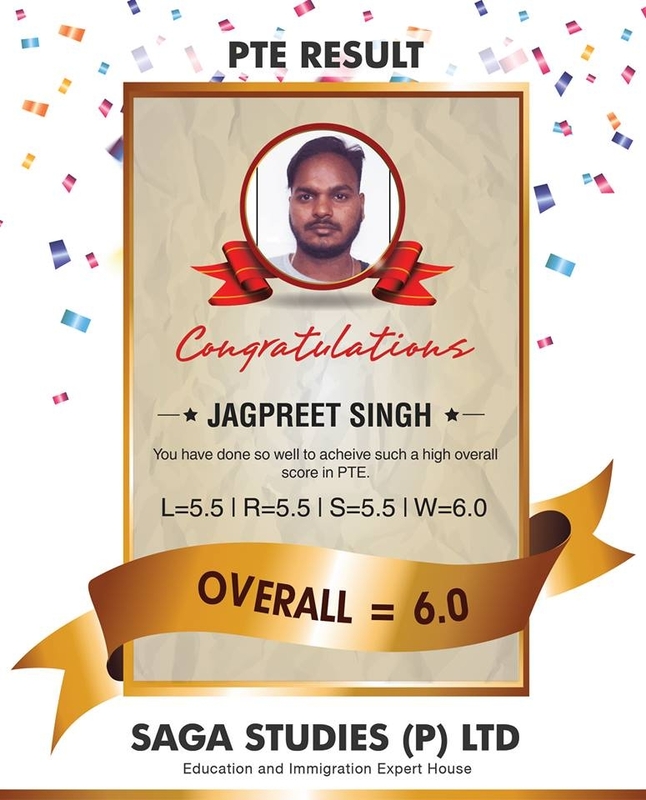 Congratulations #Jashanpreet_Singh for improvement in PTE . Today we would like to #Congratulate to our #PTE Student #Gagandeep_Kaur. She got overall 6.0 Bands in #PTE. 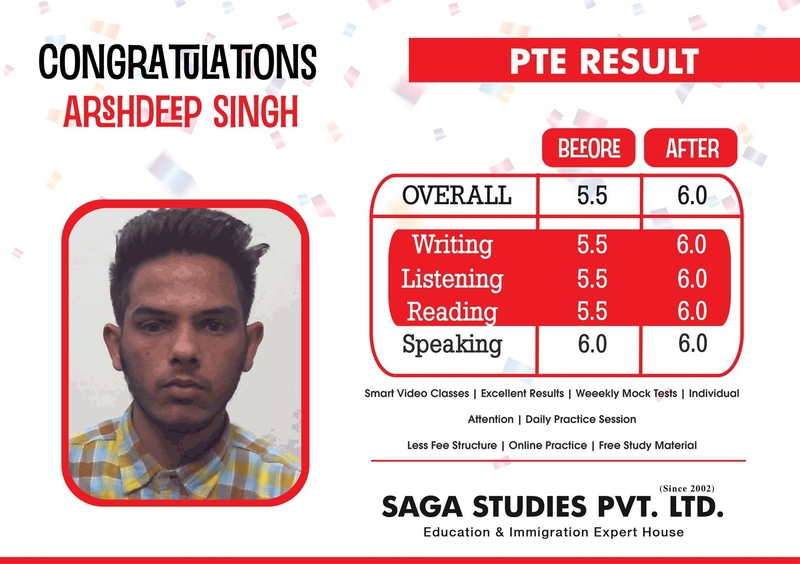 Congratulations #Arshdeep_Singh for improvement in PTE Writing and Listening from 6.5 to 7.0 bands. 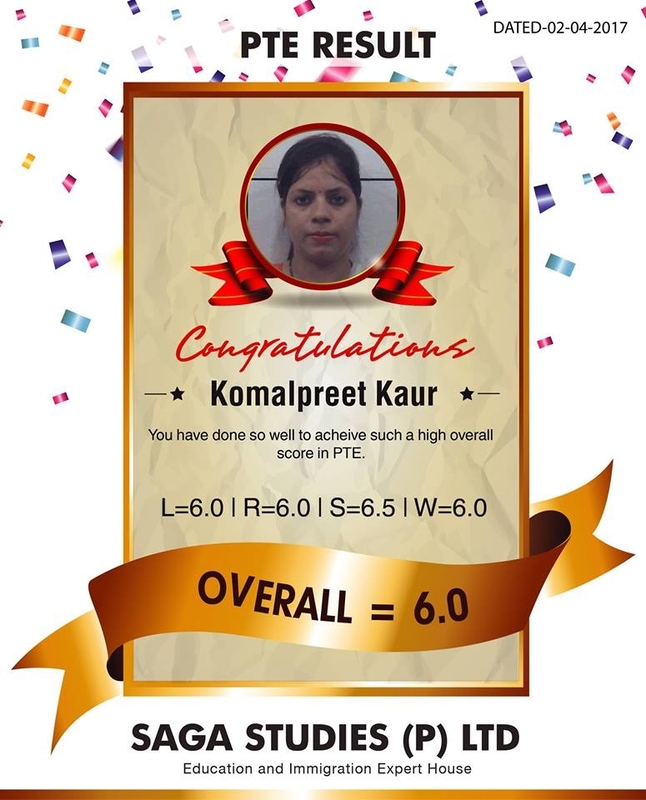 Today we would like to #Congratulate to our #PTE Student #Komalpreet_Kaur. She got overall 6.0 Bands in #PTE. 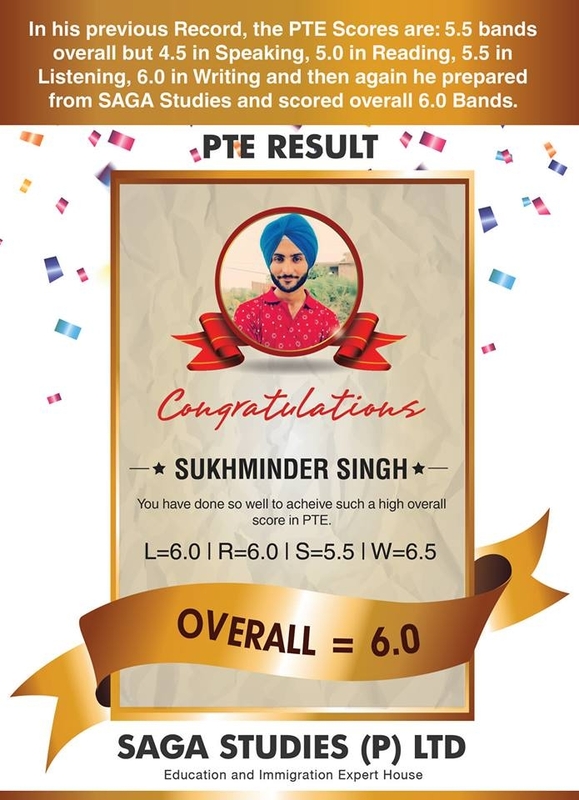 Today we would like to #Congratulate to our PTE Student Sukhminder Singh. He got overall 6.0 Bands in #PTE. 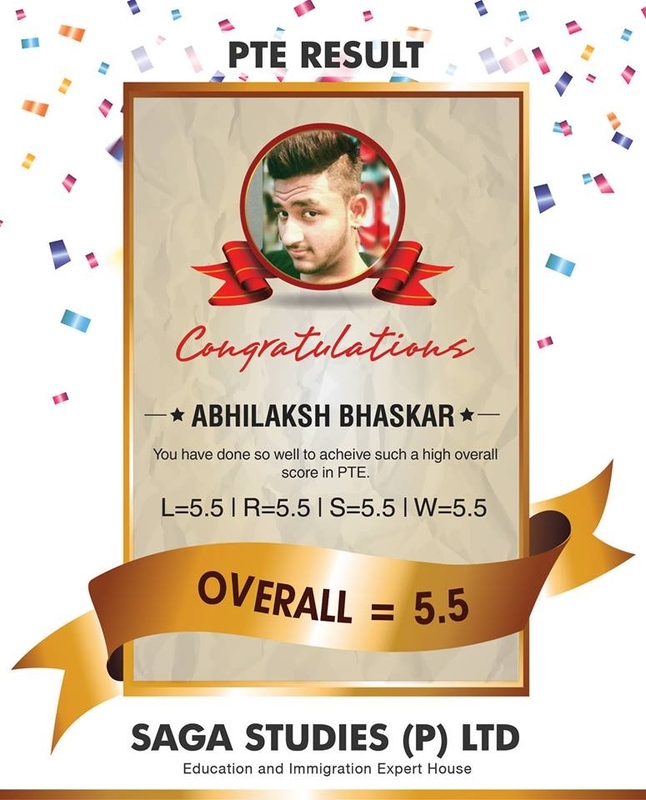 Today we would like to #Congratulate to our PTE Student Abhilaksh Bhaskar. 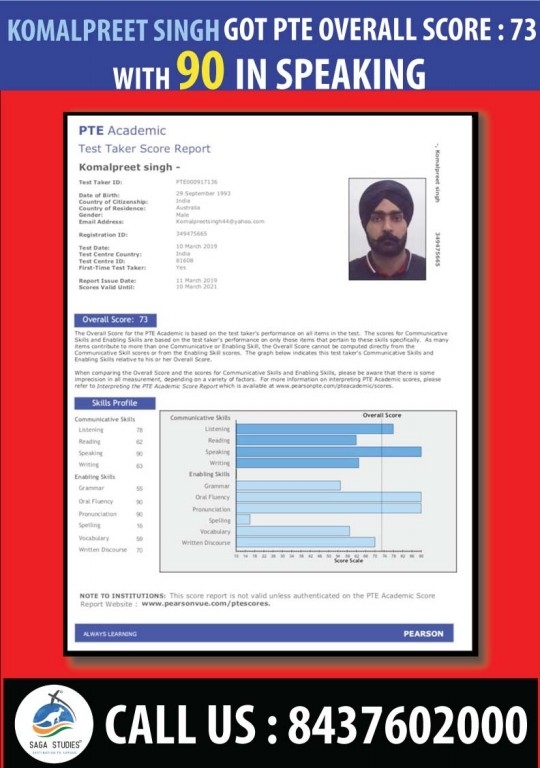 He got overall 5.5 Bands in #PTE.